Transparency is extolled as a virtue, and one specifically crystallised in the way in which computer interfaces compose relations between users, data, and processes. This lecture sets out a brief genealogy of transparency in user interfaces and examines the way in which notions of transparency drawn from computational sources provide a means for a more general set of refrains in contemporary architecture, economics, politics, conflict and art. Coupled with the question of transparency is of course that of what is hidden from view or occluded. How the two states combine to texture contemporary life has a fundamentally computational dimension to it that this lecture will attempt to address by looking at new cultural objects such as “flat design” and recent silicon valley architecture. Fuller is the author of How to be a Geek: Essays on the Culture of Software (Polity). Other titles include Media Ecologies: Materialist Energies in Art and Technoculture (MIT Press), Behind the Blip: Essays on the Culture of Software and Elephant & Castle (both Autonomedia). With Andrew Goffey he is co-author of Evil Media (MIT Press). How to Sleep: In Art, Biology and Culture, (Bloomsbury) is to be published in 2018. He has worked in and with artists groups such as I/O/D, Mongrel and YoHa. 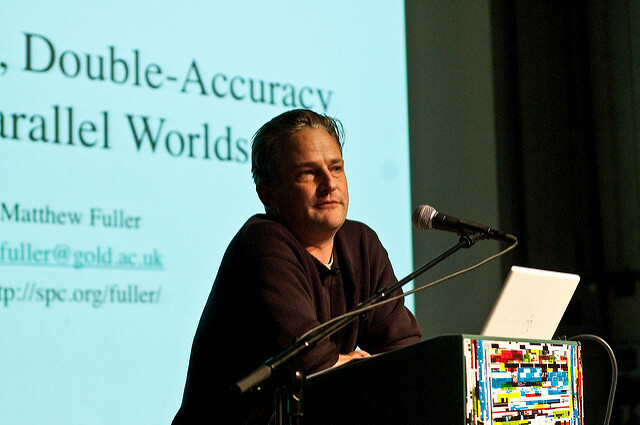 Fuller is an editor of books including Software Studies: A Lexicon (MIT Press), and is a co-editor of the journal Computational Culture (http://www.computationalculture.net). He is Professor of Cultural Studies and Director of the Centre for Cultural Studies, Goldsmiths, University of London. In this talk I will explore how we manage our subjectivities as they become data-based, processed and arranged by algorithms. Subjectivities we craftfully perform online connect in obscure ways to the data subjects aggregated from our data largely outside our knowledge and used on us. Whether the connections between our subjectivities, digital performances and data subjects are indexical, metaphorical, logical or poetic is an open question. I will illustrate my talk with art projects that pose this question in interesting ways. 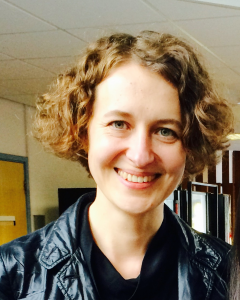 Olga Goriunova is Reader and Director of Postgraduate Research at the Department of Media Arts, Royal Holloway, University of London. She is the author of Art Platforms and Cultural Production on the Internet (Routledge, 2012), editor of Fun and Software: Exploring Pleasure, Pain and Paradox in Computing (Bloomsbury, 2014) and co-editor, with Alexei Shulgin, of Readme. Software Art and Cultures (University of Aarhus Press, 2004). She is a co-founder and co-editor of Computational Culture, A Journal of Software Studies(computationalculture.net). She has also worked as a curator, co-organizing, among other, four Readme, software art festivals, 2001-2005, Runme.org software art repository and curating a series of exhibitions Fun and Software in 2010-2011. In 2015, she was a Fellow at the University of Leuphana’s Digital Cultures Research Lab. In 2014-2016 she was part of the Posthumanities International Network (funded by the Swedish Research Council for Humanities and Social Sciences) and member of the Visual Social Media Lab, working on the project Picturing the Social: transforming our understanding of images in social media and Big Data research (funded by Economic and Social Research Council, UK). She is currently working on a monograph on digital subjects.